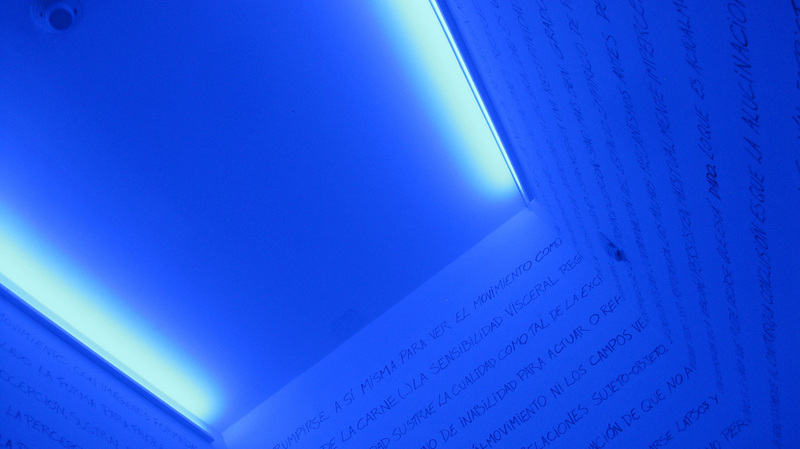 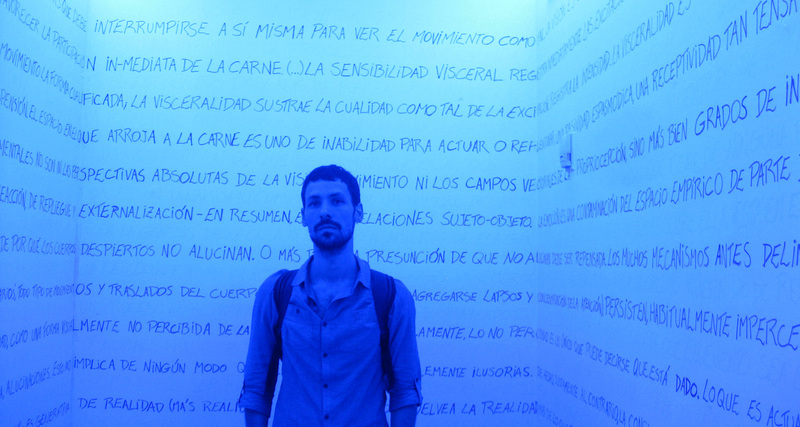 ‘State of Emergency’ is an immersive light installation: a room with walls completely covered in handwritten text, where the lighting constantly alternates between pure red and pure blue. 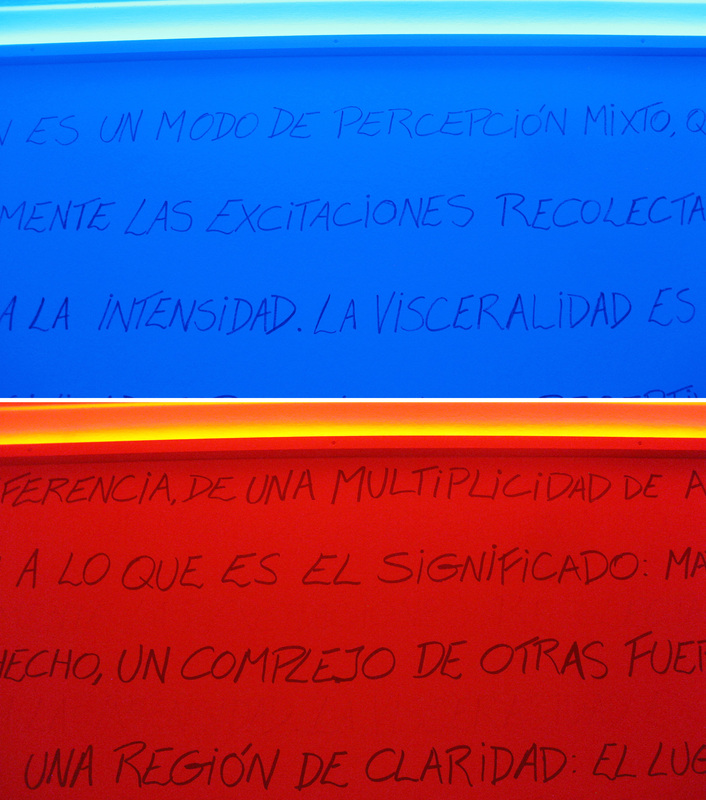 The texts develop two threads, written in blue and red ink, which are rendered alternatively (in)visible by the changes in the lighting. 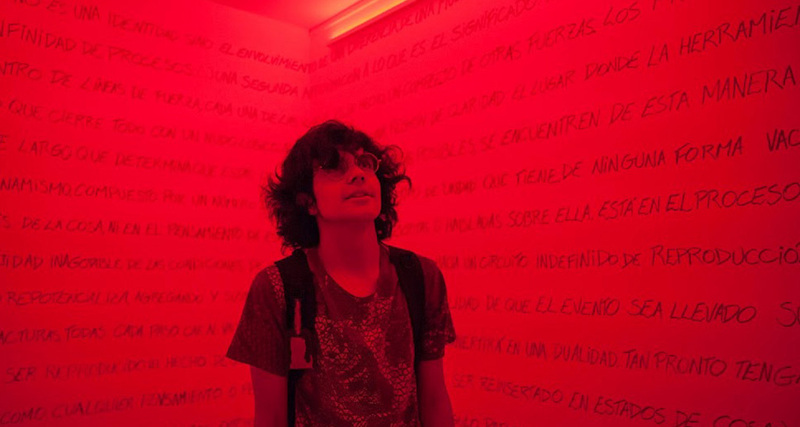 As long as the space is lit in red, only the blue texts are visible, and viceversa. 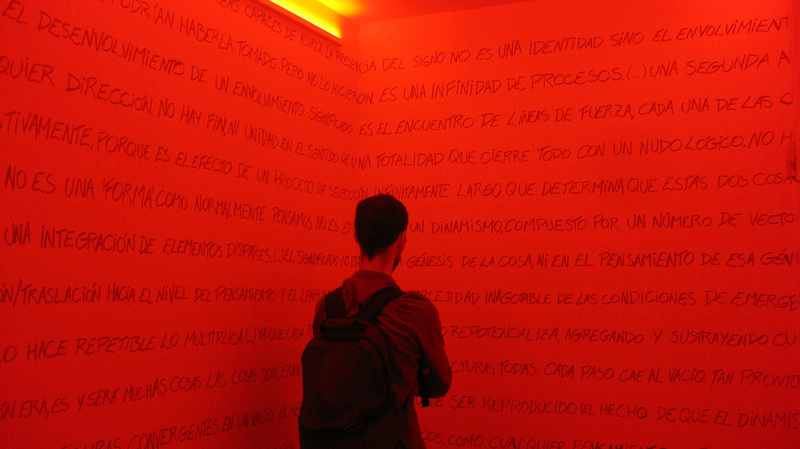 Almost like in a hallucination, the words seem to appear and disappear, interrupting and allowing multiple readings. 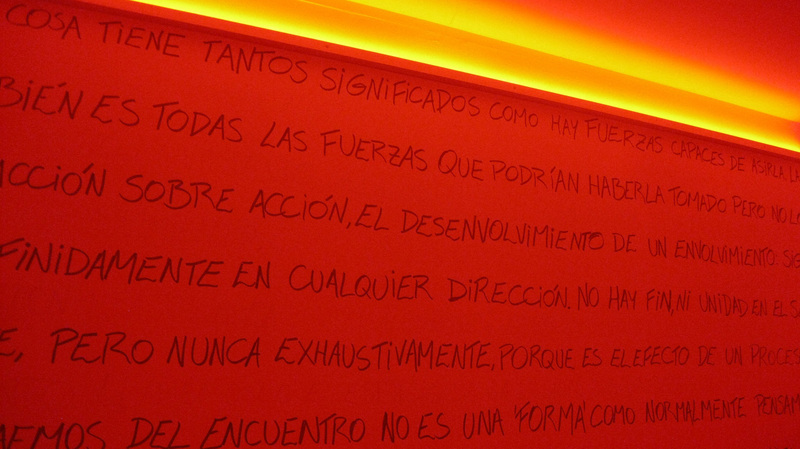 An environment for an intermodal experience, where thoughts are sensations, and sensations are reflected upon.